Mellow Monk customer Jean-Frédéric of France sent us this photo of his wonderful collection of chadougu. 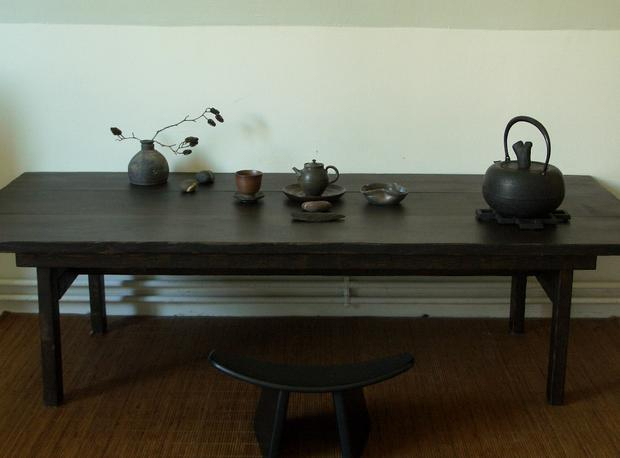 Jean-Frédéric says the tea ware was made by Yamada So [second from the top], grandson of the late Yamada Jozan III, a Tokoname-yaki potter and a former Living National Treasure. All these items are made by yakishime, wood-fired in an anagama kiln. A truly lovely, mellow space for enjoying tea — and your tea time — to its fullest. But let us remember that the key to a fulfilling, invigorating green tea break is your attitude going in, not your equipment.